Experience the gentle laying-on of hands and the powerful healing energies of Reiki! 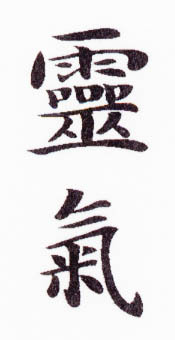 Reiki is a Japanese technique for relaxation and stress reduction that promotes healing of mind, body and spirit. Through an attunement process, the Reiki practitioner is able to channel God-directed life force energies through their hands to heal the whole person. It is complementary medicine, in that its use is adjunct to, rather than a replacement for, conventional medicine. Sessions are tailored to the client’s need for full body standard treatment or more specifically channeled healing such as chakra balancing, aura clearing, healing attunement, or a combination. Regular sessions are 60 minutes or longer. Complimentary Aroma and Sound Therapies may be included with treatments, so please indicate sensitivity or intolerance to essential oils, incense or sage when making appointment. Reiki treatments are administered with client fully clothed and sitting on a chair or lying on a Reiki table. The flow of energy is not impeded by clothing or jewelry; however, for greatest relaxation, it is best to wear comfortable clothes and quiet jewelry. 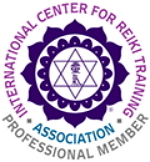 Holy Fire Reiki is a new form of Reiki that was introduced by the International Center for Reiki Training in January of 2014. It is both powerful and gentle and provides purification, healing, empowerment and guidance. It is included as part of our Usui Reiki classes and has been added to Karuna Reiki training. These qualities are present in the Reiki I & II classes and become more pronounced in the ART/Master and Karuna© Reiki classes. If initiating to the healing powers of Holy Fire Reiki feels right for the path that you personally have chosen, then please choose your class and register today. We have good work to do.